Voter registration in the Republican and Democratic parties has decreased significantly in recent years. However, according to American’s leading ballot access expert Richard Winger, Libertarian Party voter registration in the U.S. is growing — by a whopping 11.4% since late 2012. According to Winger, the most recent figures available from state governments show 368,561 registered Libertarians in March of 2014, compared to 330,811 in November of 2012. That’s from the 30 states that, along with the District of Columbia, allow voters to include a party affiliation with their voter registration. The states with the largest percent increases were Idaho (161% increase), Wyoming (68% increase), Nebraska (55% increase), and Louisiana (33% increase). The surge comes after the 2012 election season in which Libertarian presidential candidate Gary Johnson won a record 1.276 million votes, double the 2008 vote. 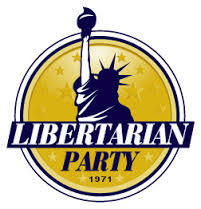 In total, 2012 Libertarian Party candidates received nearly 16 million votes nationwide, and set new records in several categories. VIDEO: It’s Almost Illegal to Start a Business in the U.S.A.